After playing through the sublime Sapienza mission, I wasn’t sure Hitman was going to top the brave new heights featured in the Italian coastal town. The views were stunning, the opportunities were varied, and the targets weren’t as straightforward as they were back in Paris. So far every location has presented slightly different challenges and with Marrakesh, they presented themselves right from the moment you arrive. Your contracts this time around come in the form of Claus Stranberg, a private banker guilty of stealing millions from the Moroccan people and Reza Zaydan, an army general using Stranberg to ignite a coup d’état. It’s a very different place to the ones we’ve been used to, with hundreds of tourists and locals populating the busy marketplace, military personnel everywhere and angry mobs causing a ruckus outside the Swedish consulate. Trying to find a way to kill the two targets is harder than it’s been before and it’s a welcome challenge. There are so many NPCs walking around the streets of Marrakesh that you’ll wonder if a quiet moment will ever present itself and whether you’ll be able to subdue somebody to steal their outfits and identities. It took a while to adapt to a smarter, more patient approach, but after a while you learn and feel better for it. Patience really is a virtue this time; I was waiting in excess of 10 minutes to capitalise on a 5 second window where I could get a particular uniform I needed off an NPC then throw them in a wooden chest before anyone saw me. The opportunities are just as diverse as they’ve ever been and are vital if you’re ever going to infiltrate the school. I found Zaydan a lot harder to get to than the banker, mainly because of the heavy military presence refusing me access every time I got close. With Stranberg, I tried a couple of the opportunities, but found a better way by myself to get past the rioters and into the consulate. Up until now I’d always relied on a bit of guidance to get the job done, but the way I managed to get inside the consulate and assassinate Stranberg was probably my favourite hit of the Hitman series so far. Once again, Hitman’s take on Marrakesh is spot on and wonderfully crafted. The busy markets are heavily populated, with stall owners selling spices, rugs and even tablets and headphones, shouting about their wares to anybody that’ll listen. Outside the Swedish consulate, the rioters are out in full force, shouting profanities at the banker, with smoke screens and banners littering the area. Even though there are so many NPCs swarming the city, each one feels different and you’ll encounter so many different personalities that it’s actually astounding how much time has been put into making them feel so individual. 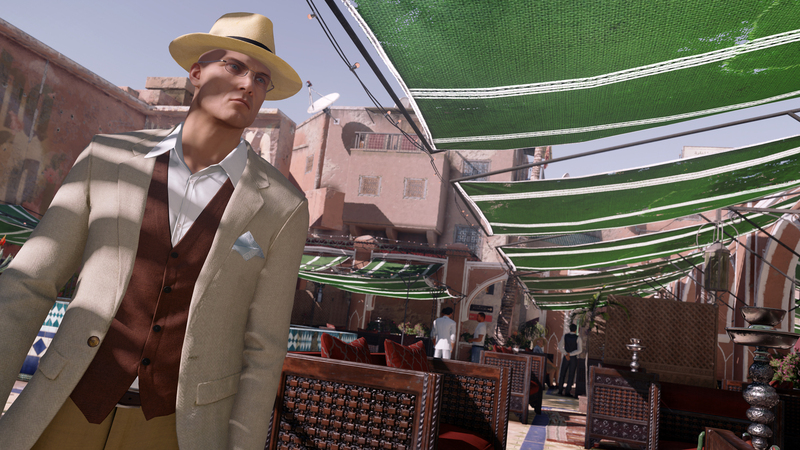 I loved Marrakesh, but it does suffer from the same problems as Paris and Sapienza did: if you’re not willing to replay it and travel down the different avenues of assassination, you’re going to feel slightly robbed. I feel Hitman has been great value for money so far and the level of replayability stands out more than many other games. You can spend hours being as meticulous as you want or you can just rush in and take out the targets as quick as you like, but where’s the fun in that? Either way, there are only two hits and a short cinematic at the end (that does very little to make you care about the story at all), so some may feel like it isn’t enough. 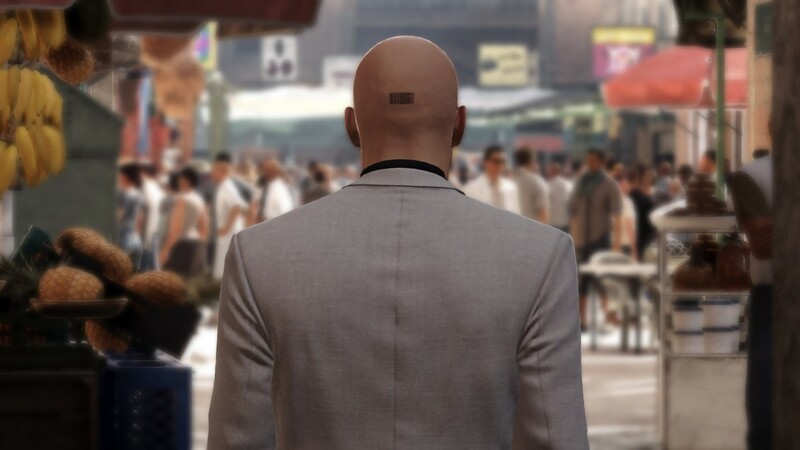 Despite a few issues with not being able to load my save due to connection issues with the Hitman servers with some long loading times between deaths, Hitman’s third mission, A Gilded Cage is another great entry into the series and I recommend it to anyone with a craving for assassination. Another solid entry into the series and fans of the series so far will love the new challenges it presents.